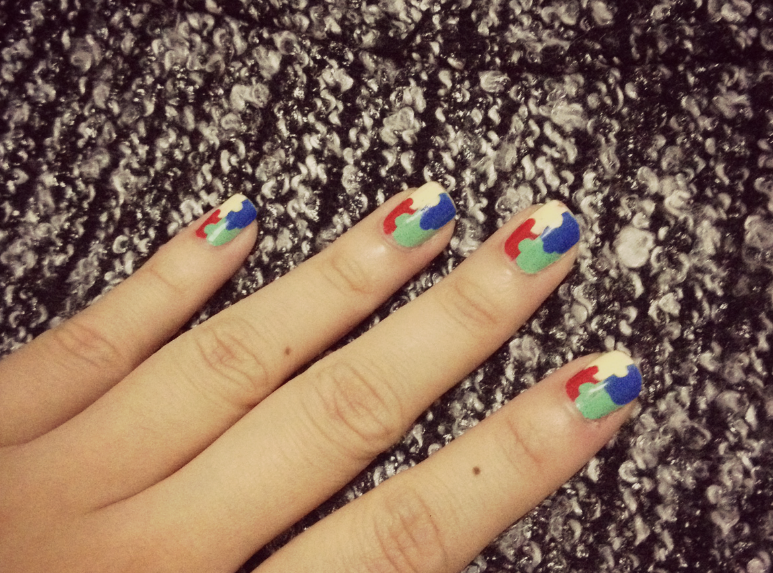 In support of the National Autism Awareness Month, I thought I'd share with the nail art I did for this cause. Basically I used colours that are associated with the Autism Society Organisation and made it into a puzzle. This nail art is a lot simpler than it looks and you can definitely do it yourself too. Here are the steps. 1. Paint the left side of your nails with red and the right side with green. 2. Paint the half of the left side in yellow and the other half of the right side in blue. 3. Using a dotting tool, place dots on the each side of the square in each individual colour forming a puzzle and that's it! It's that simple. If you're curious what colours I used here's the list. Why Not Add Some Sparkle to Your Outfit?